Radio Hyrule has gone through multiple stages of development throughout its lifespan. 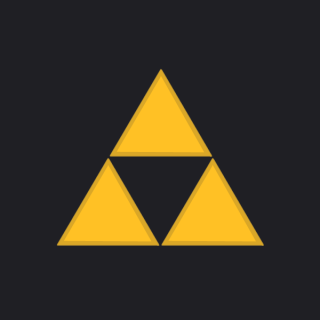 The original idea of an online Zelda radio station dates back to Summer of 2005, with the creation of World Zelda Music Radio (WZMR) as part of ZeldaMusic.org. The original purpose of the station was to interact with fans through live shows, and to promote music of the Zelda Reorchestrated project. Often times, new ZREO songs would be aired on WZMR before they were released on the website for download. Unfortunately, the station had to close down due to financial instability. On February 4, 2008, plans were carried out to start a radio station under new management that featured remixes from various different games created by members of the Zelda Reorchestrated community. The new station, Reorchestrators Radio Network, was a hit amongst members of the ZREO community, however, there seemed to be little interest from anyone outside of it. Somehow, the project needed to appeal to a larger audience. On June 21, 2008, World Zelda Music Radio was resurrected with a new direction in mind. Not only did the new site share the same name as the original project, it also shared some of the same ideas for live shows and fan interaction. The biggest change this time was the focus on Zelda remixes and covers made by fans from all over the internet. The diversity of musical genres seemed to be a big hit amongst listeners, as the station's listener base greatly expanded during this phase. While the shows were widely held to be enjoyable, they never seemed to catch on as much as anyone would have hoped. It was decided to put shows off until we have the talent and resources to put together a professional production on a regular basis. Unfortunately, that day still has yet to come. The most recent transformation dates back to August 8, 2011, when the site was renamed to Radio Hyrule. The decision to change the name followed a shift in plans to become more community-oriented, rather than existing solely as a music resource. For more information on this new direction, visit the About Us page.